KUNAR -- Skirmishes between the Taliban and "Islamic State of Iraq and Syria" (ISIS) in eastern Afghanistan have intensified in recent months, in part because of spies who have infiltrated each group, military officials say. A government crackdown on ISIS in Nangarhar Province prompted the terrorist group's remaining fighters to flee to neighbouring Kunar Province, putting them in conflict with the Taliban. "The truth is that most of the fighters who have joined ISIS are former Taliban, and there are some Taliban fighters who have links with [ISIS]," said Capt. Haroon Yousufzai, a spokesperson for the 201st Silab Corps of the Afghan National Army (ANA). "This is why they have spies in one another's group," he told Salaam Times. "According to my information, the reason the groups fight with one another is the infiltration of spies," he said. "ISIS commanders killed many who they suspected were spying on them for the Taliban." 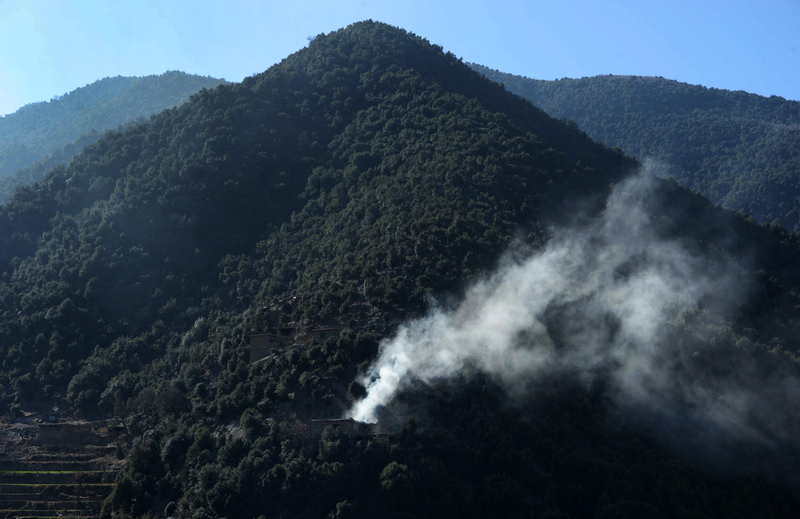 "ISIS and the Taliban have been fighting with each other intermittently since the beginning of January in Manogi District," said Ghani Musamim, a spokesperson for the Kunar provincial governor. "Since the fight has broken out, both the parties have seen almost 50 casualties -- 30 of whom are ISIS fighters," he told Salaam Times. "ISIS captured some of those areas where the Taliban operated -- for instance, Korengal Dara, Shoraik and Umar Khwar." "There isn't that much difference between the groups," Musamim said. "Those who were in the Taliban before, they now fight for ISIS, and those who were in ISIS have switched to the Taliban." Najmuddin, a militant commander who spent time in both groups before his death, is one example. "Najmuddin was a former ISIS fighter, but he recently switched to the Taliban," Musamim said. For that reason, Najmuddin was a target, according to local residents. "There were doubts about Commander Najmuddin in the area on whether he was an ISIS operative, but in reality he was a Taliban member," said Enayatuallah, a resident of the Nangalam neighbourhood of Manogi District. "Some ISIS commanders were secretly killed in the area, and locals believed that [Najmuddin] had infiltrated [ISIS] to spy for the Taliban," he told Salaam Times. "When Najmuddin was aware of the situation, he switched back to the Taliban," Enayatuallah said. "He still had links with ISIS, but he was afraid that ISIS would kill him." "There are so many spies in both ISIS and the Taliban that neither group can trust its friends," he said. But Najmuddin met his fate not at the hands of militants but in an air and ground operation by Afghan special forces in the Ghalaq Lam area of Manogi District, according to Musamim. He and three of his comrades were killed January 28. "Najmuddin was an ISIS commander, and he used to kill local civilians on charges of spying, and now he himself was killed," a local resident told Salaam Times on the condition of anonymity. 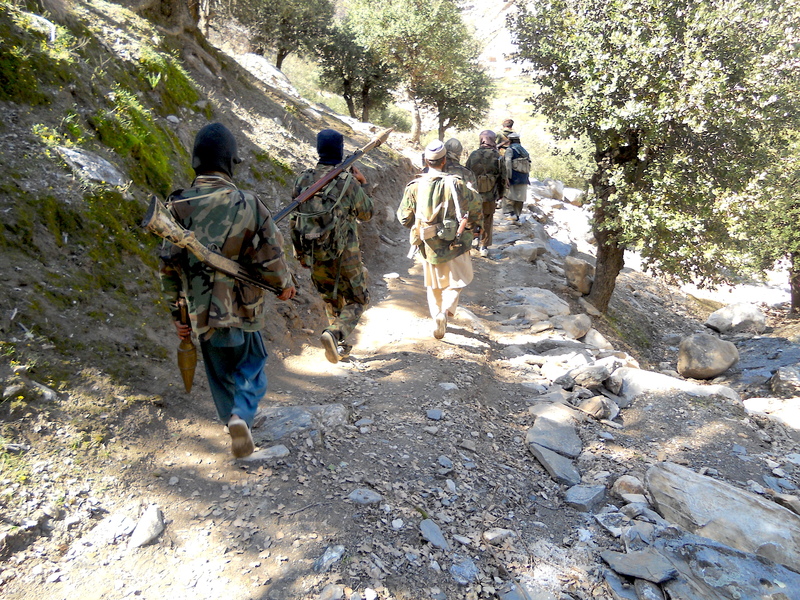 The clashes between the Taliban and ISIS fighters in Manogi District have prompted civilians to flee to safer areas. Over the past few months, around 600 families have left their homes because of ISIS-Taliban clashes, according to Musamim. "I escaped, and I now live in Asadabad city, but most of my family members are under siege," said Abdul Qadeer, 32, a resident of the Korengal neighbourhood. "ISIS fighters don't allow them to leave the area," he told Salaam Times. "They can be killed at any time." Faqir Muhammad, 50, a resident of the Nangalam area of Manogi District, also said ISIS has captured some areas and is not letting anyone leave. "The Taliban plan to fight them, but local residents will [surely] be killed," he told Salaam Times. "They have no other purpose except killing civilians." 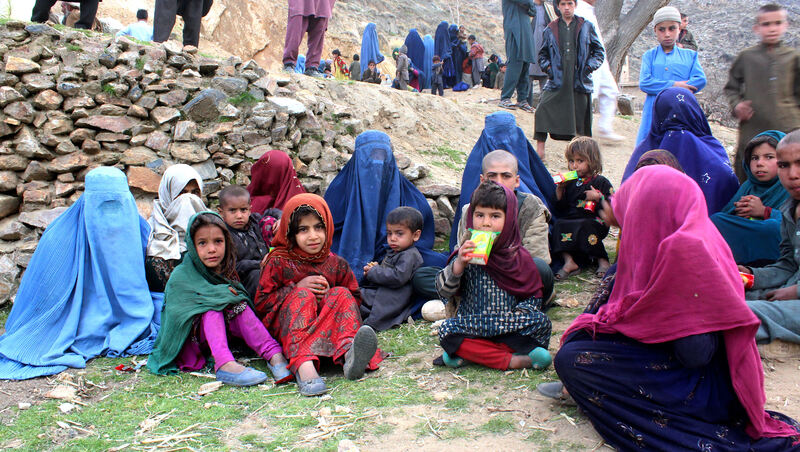 "The displaced people live badly, and the Afghan government needs to take care of them," said Muhammad Safi, a member of the Kunar Provincial Council. "They have no shelter and cannot get food on a regular basis," he told Salaam Times. Enzar Gul, 50, who recently fled Manogi District for Simtam village in Watapoor District, confirmed Safi's assessment of the situation. "We have left all our belongings at home and managed to come here to save our lives," he told Salaam Times. "We can't afford a single meal," he said. "Our neighbours bring us food, and we sleep in makeshift shelters [with no roofs]." Help is on the way, promised Shafiqullah Momand, director of the Refugee and Repatriations Department of Kunar Province. "We have distributed assistance to those families who left their homes because of fighting between the Taliban and ISIS in the past, and we are identifying those families who have recently arrived here after fighting erupted in Manogi District," he told Salaam Times. "We will soon start distributing assistance [food and shelter] to them," he said. Fighting between ISIS and the Taliban first broke out almost a year ago in Manogi and Chapa Dara districts, but Afghan National Defence and Security Forces quickly launched operations against both groups. "The ISIS terrorist group gained much ground in the beginning and intimidated the local population, but when the security forces pursued them, it was proved that they couldn't do anything," Kunar Police Chief Gen. Haqnawaz Haqyar told Salaam Times. "We launched operations against them and hit them wherever we found them." he said. "The Taliban group was also stronger in the past, but it cannot fight now," he added. "Another major phenomenon is that they now attack each other -- the Taliban strikes ISIS, and ISIS strikes the Taliban," Haqyar said. "It is obvious that they have infiltrated each other, and we have seen instances where ISIS members killed their own and the Taliban killed their own," he said. "It means that there are individuals from each side who have infiltrated the other group." "We have always launched timely operations to eliminate ISIS and Taliban terrorists, and we'll continue this campaign," said Brig. Gen. Mirwais Sapi, commander of the 2nd Infantry Division of the ANA in Kunar. "We have conducted operations several times in Mazar Dara of Noorgal District, Dewagal Dara of Chawki District, and parts of Manogi and Chapa Dara districts, and now the threat from ISIS is not [as big] as that in the past," he told Salaam Times. "We will soon launch more robust operations against the Taliban and Daesh fighters in Manogi and Chapa Dara districts," he said, using another name for ISIS. The government should know that the provincial authorities had better not steal anything under the name of the IDPs. First, information should be obtained whether someone is really displaced or not. Kunar provincial officials say they are poised to take advantage of the clashes by launching operations against both sets of militants.